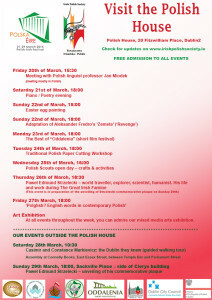 For a full week we have prepared some very interesting and free-of-charge events to attend in the Polish House. 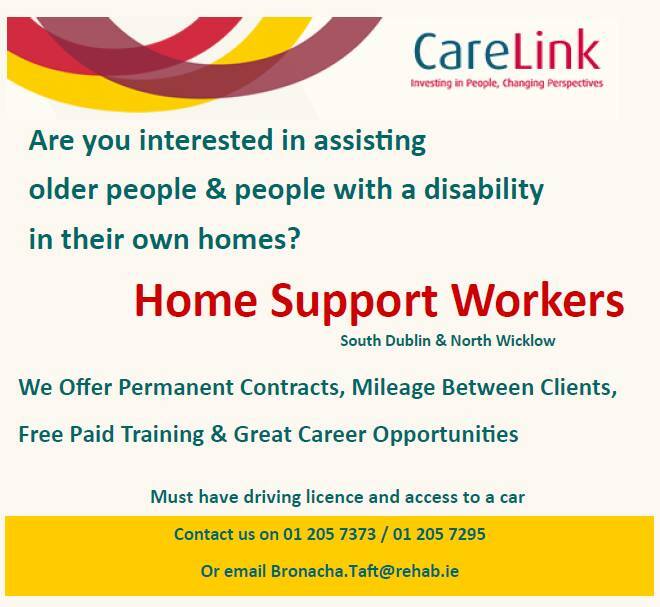 Please see our program below. We hope you find something for yourself, family and friends and we look forward to seeing you there. Please spread the word and enjoy! 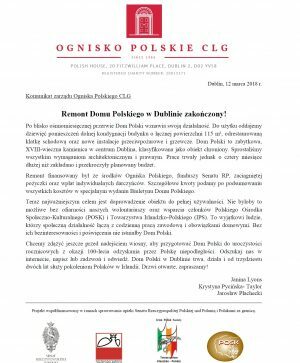 – Professor Miodek has been invited to Ireland by the Polish School Równe Szanse from Carlow. 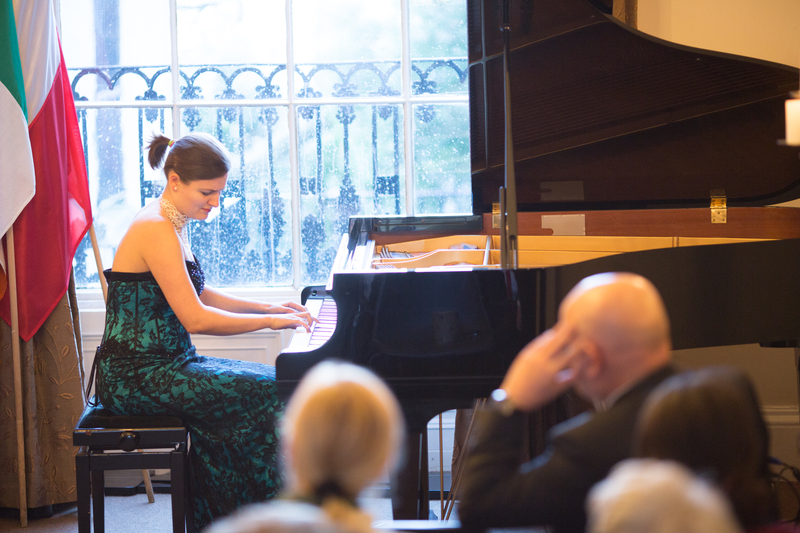 Between the poetry readings, Tamara Niekludow, a Polish pianist living and studying in Dublin, and The Dulcis Polonia Choir under the direction of Przemysław Łozowski will perform. 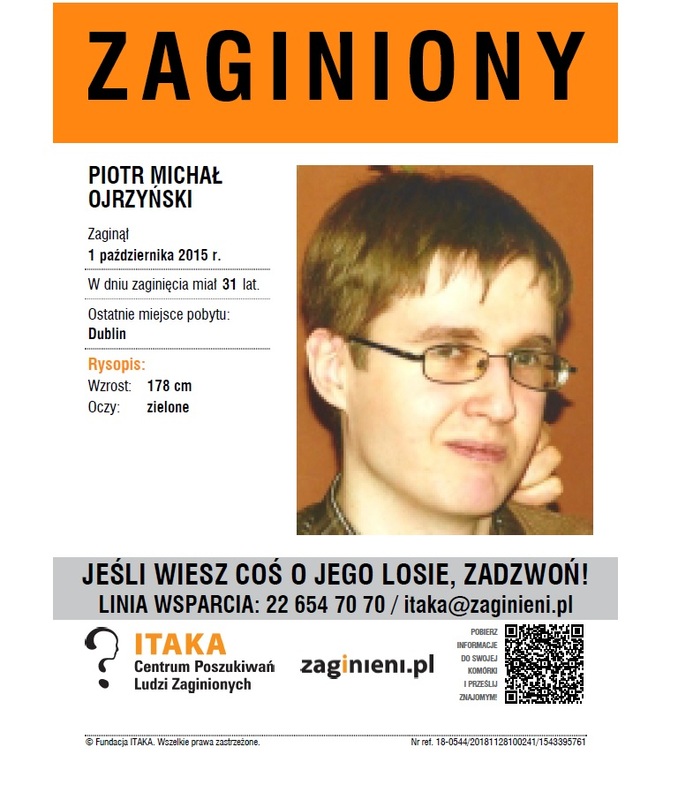 We will read the work of poets associated with both Ireland and Poland. 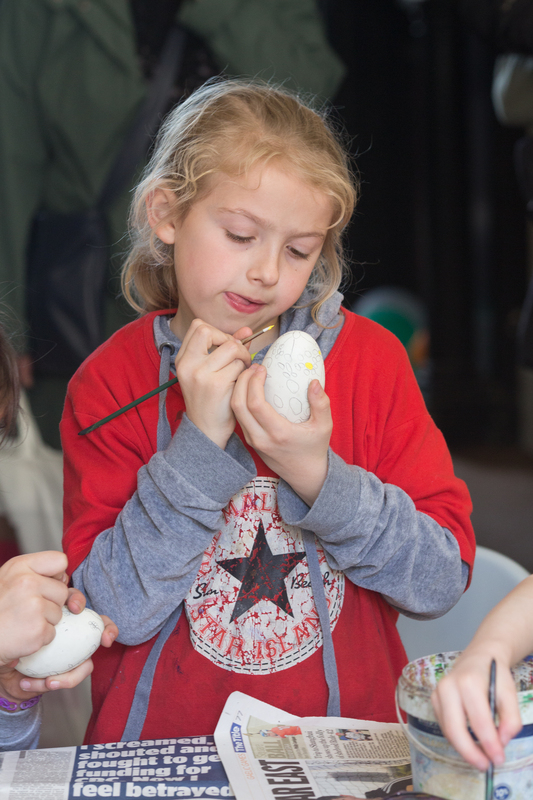 This workshop will briefly introduce traditional Egg Painting and then allow the participants to try their hand at creating their own decorative eggs. This workshop is free and open especially to children and teens aged 6 – 14. All children/teens must be accompanied by an adult. There is no pre-booking, first come first served. Basic materials for egg painting will be provided including paints, brushes, eggs, traditional and modern designs for decorating the egg. Tea, coffee and juice, will be available to all. Your own designs for egg painting and brushes. 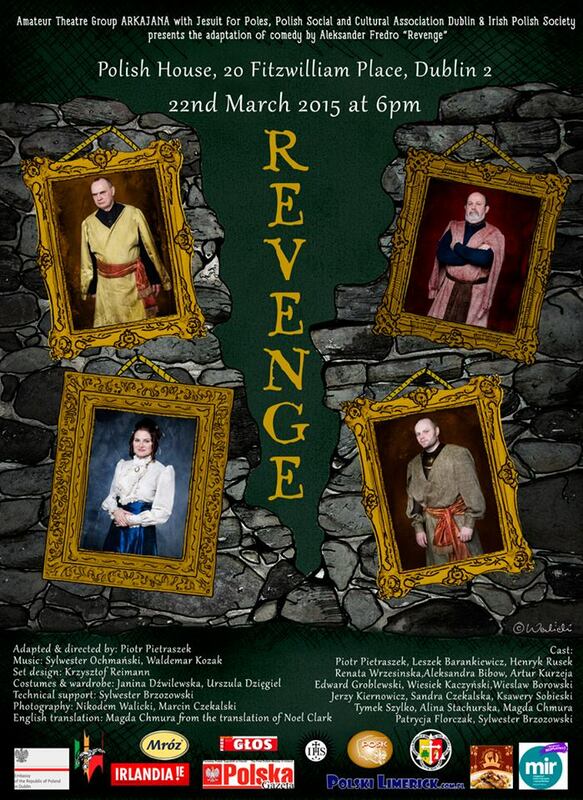 On Sunday, 22nd of March 2015, at 18:00 the music and theatre group ARKAJANA will entertain you with an adaptation of “Revenge” by Aleksander Fredro, directed by Piotr Pietraszek. 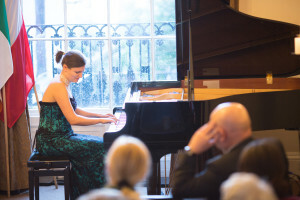 ARKAJANA have had several different music and poetry performances including one for the canonisation of Pope John Paul II and another for the Warsaw Uprising. At the end of last year ARKAJANA presented the play “Ghosts” by Adam Mickiewicz and directed by Jola Dzumyk. On the 23rd of March at 18:00 you are welcome to join us for a screening of the best short films featured in the festival to date.. The Short Film Festival ODDALENIA was originally intended to be a once off event promoting short film “Second Funeral” directed by Dawid Ciślak. Due to the popularity of the festival amongst creators and the audience and with help of the POSK committee, volunteers and the Embassy of Poland SFF ODDALENIA has grown into an annual event since 2009. We are waiting for your films and welcoming you to join us on Monday. 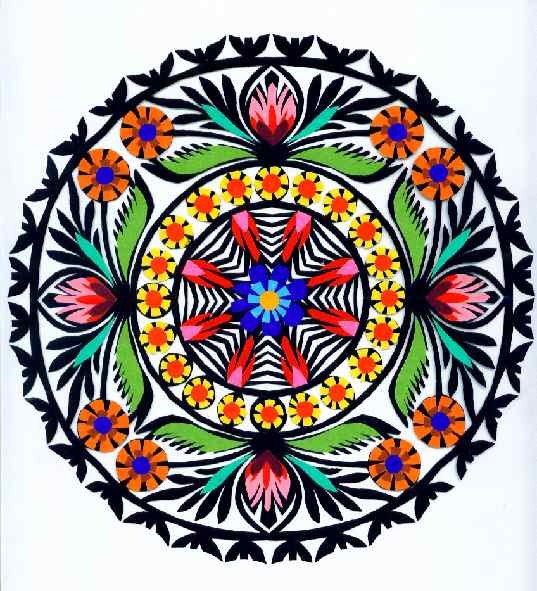 On Tuesday the 24th at 18:00 you are invited to participate in a traditional Polish paper cutting workshop and find out a little bit about the history of this tradition. 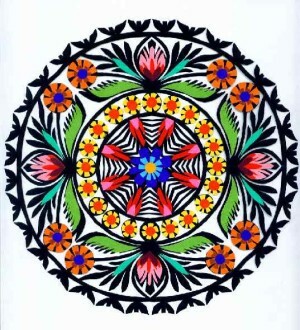 Scout Group SMARTusie – Polish Scouting Association invites children to a Polish Folk Arts Workshop. 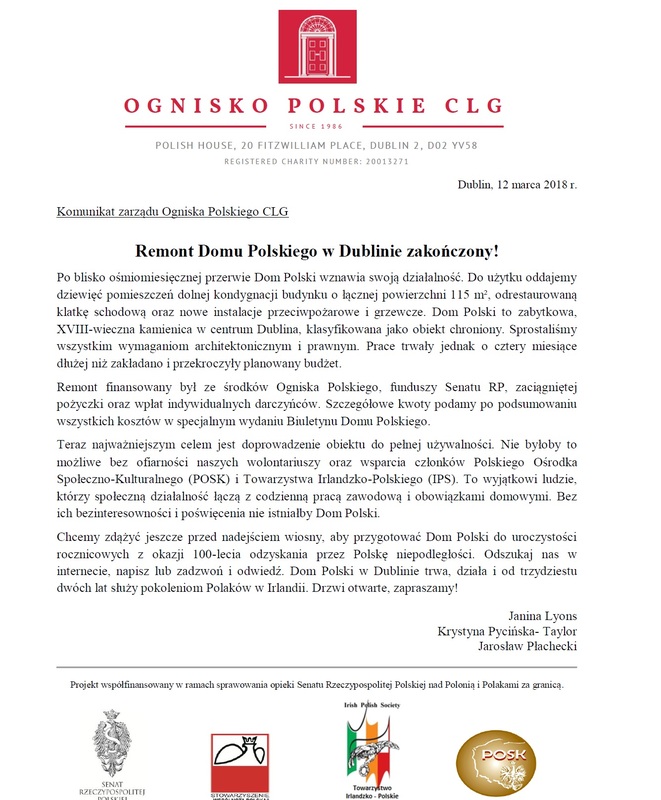 The meeting will take place at 16:00 on Wednesday, 25th of March in the Polish House, 20 Fitzwilliam Place, Dublin 2. All welcome. Admission is free. 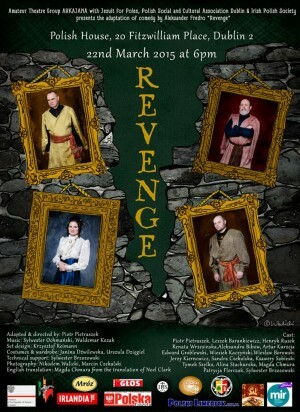 Thursday, 16th March at 18:30. 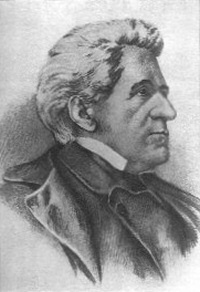 His two years in Ireland during the Great Irish Famine. Hanna Dowling who will lead the talk told us why and where she became interested in the life and work of P.E.Strzelecki. 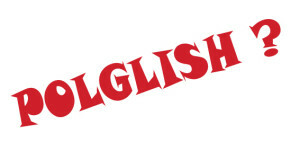 ‘Polglish? English words in the contemporary Polish’. Friday, 27th March at 18:00. Poglish or Polglish, it is a term describing the product of mixing Polish- and English-language elements within one phrase. 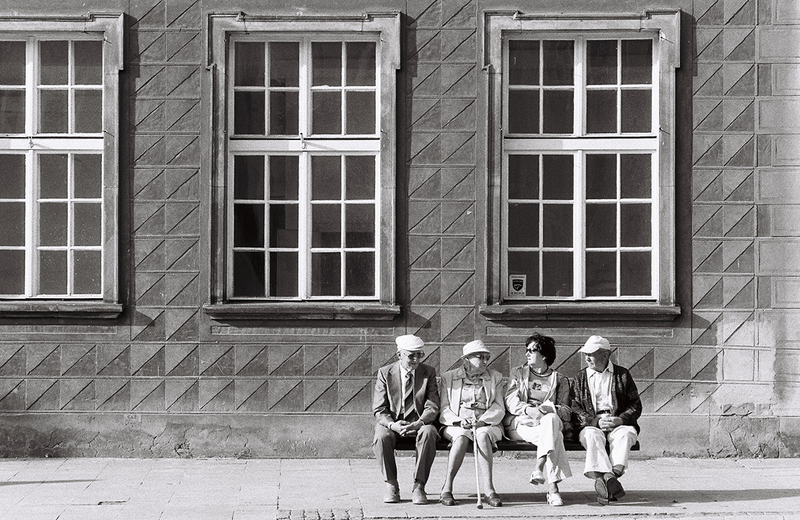 This practice is a common phenomenon among persons bilingual in Polish and English, or among Polish diasporas living in an English-speaking environment. Recently, however, we observe more and more cases of such mixing of Polish and English in press and advertisement in Poland, thus among the native speakers of Polish. 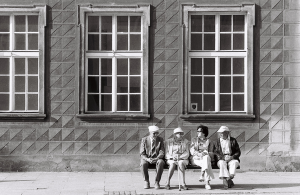 In this talk, we will examine some examples of lending and adapting English words in the contemporary Polish. Lecture will be given by Dr Aneta Stępień from Trinity College. Dr Aneta Stępień is a lecturer and coordinator of Polish Studies in the Department of Russian and Slavonic Studies in Trinity College. She is lecturing in many subjects about Polish culture, Polish language, she is a lecturer at Business and Polish courses and European Studies and Polish course. She is also a lecturer of graduate and bachelor grades in European studies, cultural studies and comparative and postmodern literature. 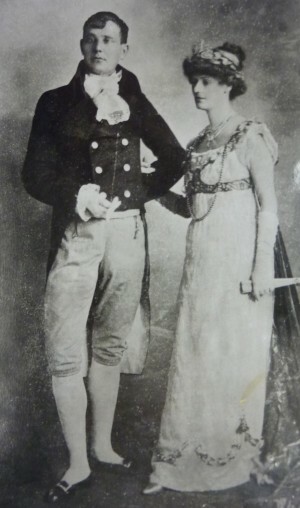 Casimir & Constance Markievicz lived together in Dublin from 1903-1913. The walking tour on 28 March will begin at Connolly Books, Temple Bar, at 10.30 and proceed to Parnell Square via locations connected with their lives and art. The walk will be about an hour and a half. The route takes in many points of historic interest from Capel Street to Kings’ Inns, the Rotunda Hospital & the Hugh Lane Gallery. 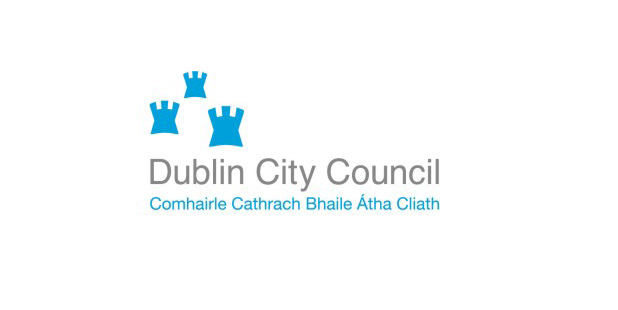 It is suitable for visitors to Dublin or residents wishing to learn the history connected with buildings and streets of the city. The main thread will be the story of an important early connection between Ireland and Poland. All welcome. 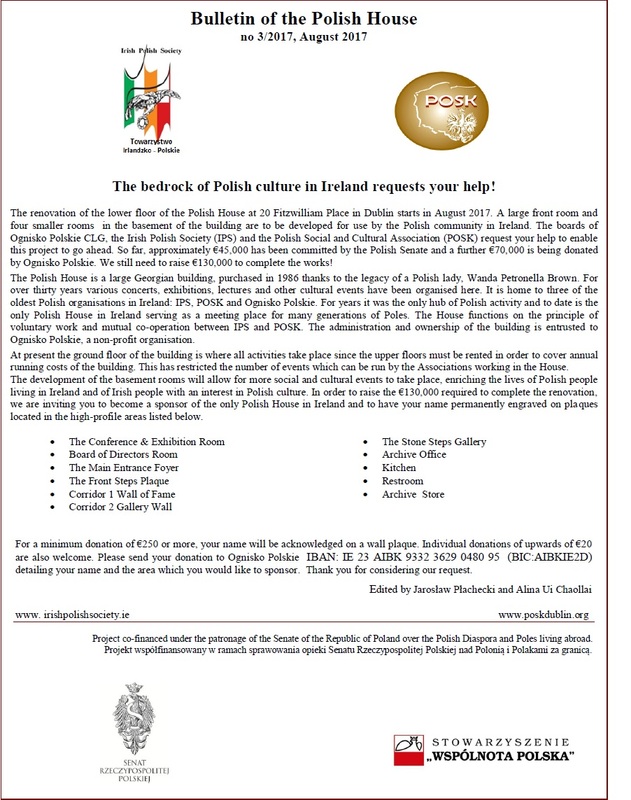 Please notify Patrick Quigley at patquig2002@yahoo.com if you wish to take part. Admission is free. 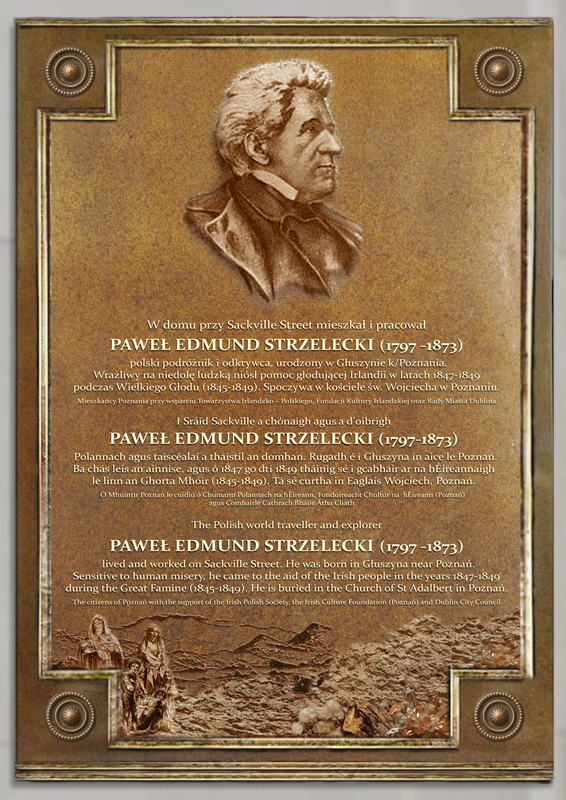 A plaque to commemorate this famous traveller who helped Ireland during the Great Famine will be unveiled by the Lord Mayor of Dublin and Lord Mayor of Poznan (Poland). 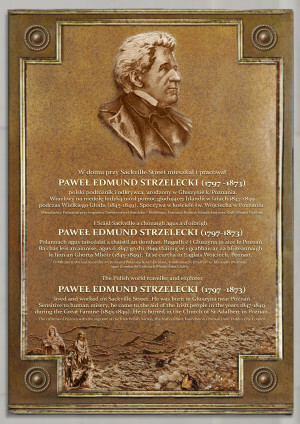 The plaque was the brainchild of Mr Wojciech Owsianowski from Poznan who will take part in the event alongside representatives of Irish Culture Foundation and Polish, Irish and Australian Societies and schools. Other notable guests include Dublin City Council, Clerys, the Embassy of Poland et al. 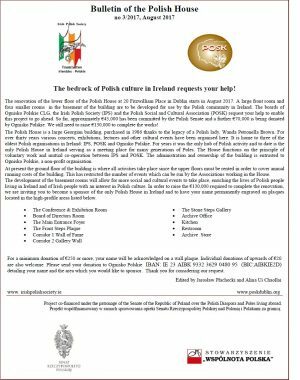 As part of the PolskaÉire2015 festival, the Irish Polish Society is delighted to host a mixed media arts exhibition based loosely on the theme of “All Things Polish”. atmospheric paintings by Agnieszka Dzida. 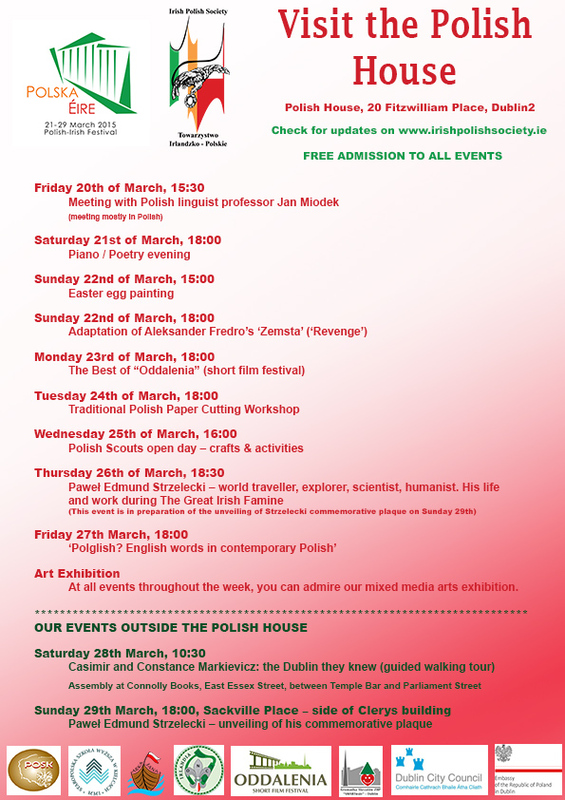 The exhibition can be viewed during all PolskaÉire2015 events present at the Polish House and will be additionally opened on Friday the 20th of March between 17:00 and 19:30 and Saturday the 28th of March between 14:00 to 16:00.